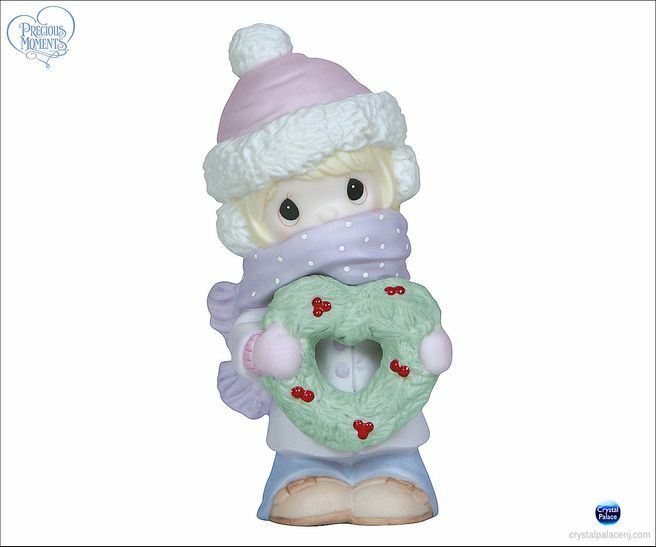 A little cold weather doesn't stop us from sharing our winter cheer! 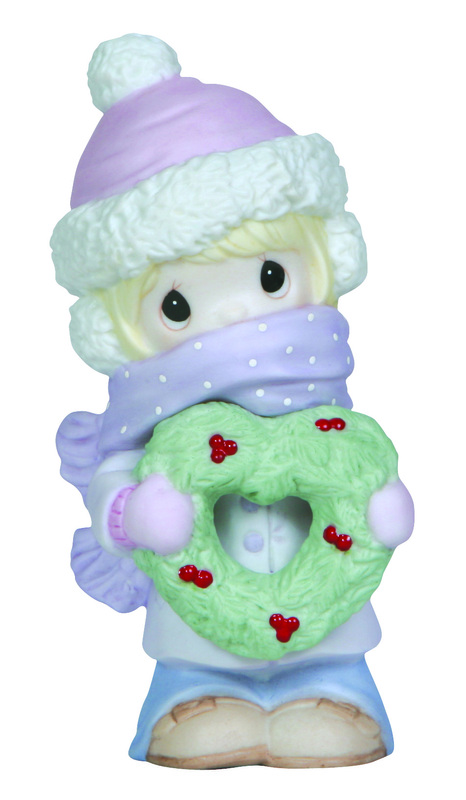 Bundled up from head to toe, this spirited sweetie sends her holiday greetings with a heart shaped wreath, a fine way to get wrapped up in the season. Bisque porcelain figurine. 4 ¾" H.